I’m so excited to be launching my TWO green banana flour recipe e-books in October that I’m giving you guys a taste test with this recipe! 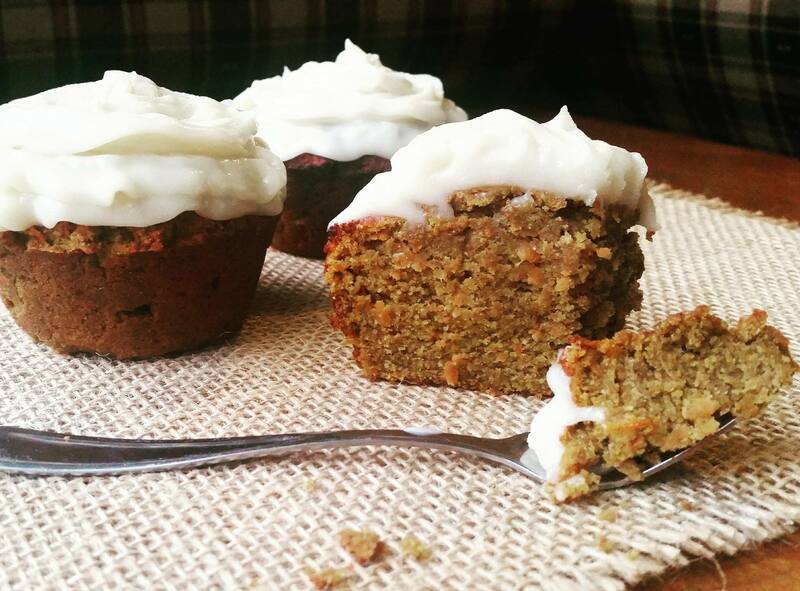 Yesterday I whipped up a batch of Carrot Spice Muffins with Lemon Icing and they were so delicious. Clint enjoyed one after work and because they’re full of nutrients, they’re very filling so he could only fit one in. That’s amazing, Clint usually eats a lot! So it’s good to know that they go a long way, which is handy when you’re spending a bit more cash on the ingredients, compared to conventional baking ingredients. As with most of my recipes, this one is free from nuts as well as the usual inflammatory suspects like gluten, grains and dairy. But it’s not missing flavour, the most important element! I love that by using quality ingredients, just real food, and utilising herbs and spices, dishes can be full of flavour without compromising on health. Then serve and gobble down! These muffins are best served fresh and with a slight warmness. If you do refrigerate these just take them out and let them sit on the bench for 30min – 1 hour before serving so they’re not too cold and firm. Enjoy! Optional extras: if you do want to add nuts to this for crunch then walnuts and pecans would be nice. Also some natural organic sultanas/raisins would be a tasty and sweet addition. Remember you can add more or less spices and honey depending on your taste, this recipe is not strict! Note: the ingredient purchase links above are affiliate links, we only affiliate with products and companies we 100% trust and believe in. For a stack more green banana flour recipes pre-order the world’s first e-books using this amazing ingredient HERE !! Have you switched over to Paleo or generally cleaner eating and are missing certain ‘junk’ foods you used to eat regularly? Say, some particular chocolate bars? I sometimes do. 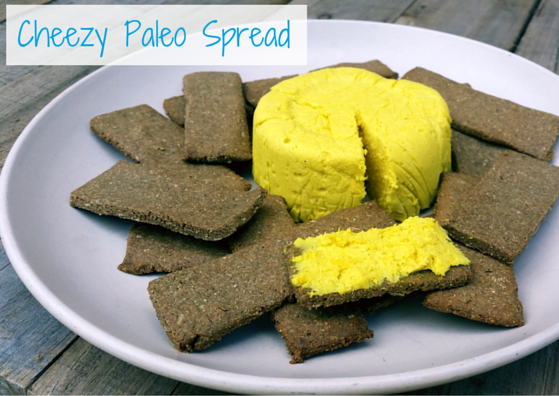 And would you agree a lot of Paleo/healthy swaps just don’t taste as good as the original version? I find it a lot; with breads and cakes, candy, all types of foods – often the taste or texture is off slightly, or even no where near. It’s not the end of the world of course, but it would be nice to get closer to the original version of some fave foods and memories. Well.. I’m happy to announce my healthier version of Turkish Delight certainly comes very close to the Fry’s version I used to enjoy so much! Yay! 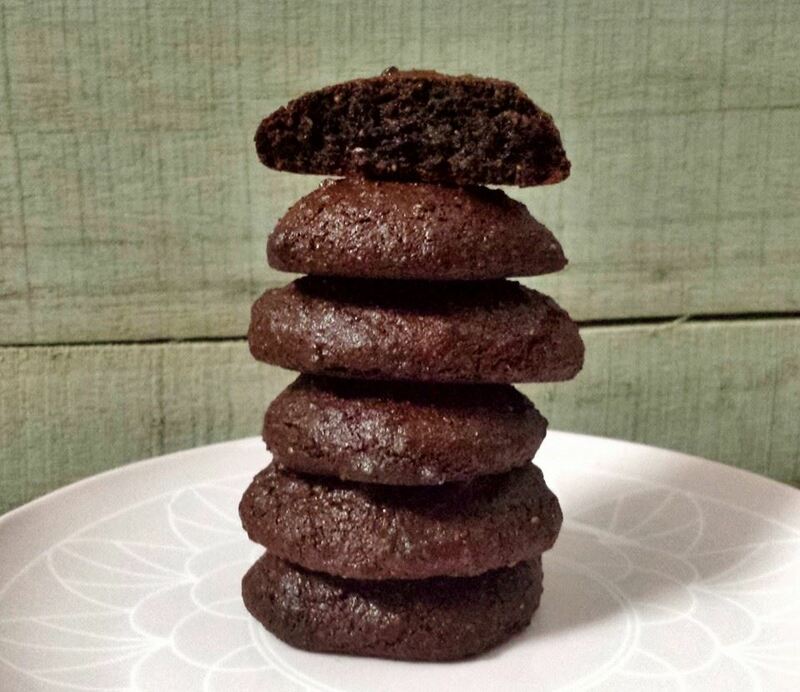 I’m giving you my recipe so you too can enjoy this yumminess, with both the way of coating it in chocolate (Paleo, or close to it, depending on what chocolate you use) like the Fry’s product, or in arrowroot (definitely Paleo) to replace the powdered sugar. Let me know what you think! 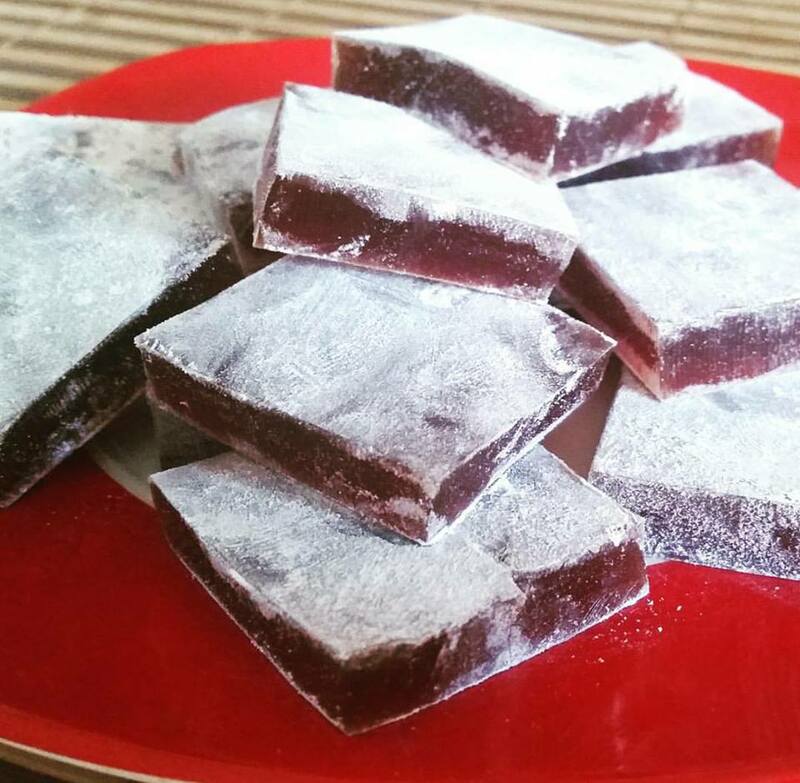 Now you have a basic Paleo Turkish Delight! Have a taste, do you get that nice, familar hit of rose water? It’s so good! Place each piece onto a sheet of baking paper that’s on a chilled board or flat plate of some kind that’s been in the fridge or freezer. This will help the underside of each piece set quicker and prevent you losing more chocolate coating than necessary on the baking paper! This version may not be technically “Paleo” depending on the chocolate you use. Cane sugar isn’t classed as Paleo but I personally don’t mind consuming it occassionally. I’d rather use a chocolate that had coconut sugar though. Store in an air-tight container in the fridge but keep in mind the moisture may absorb into the arrowroot, reducing it’s powdery-ness. Now you have a version of Turkish Delight similar to that found in cafes and at markets with that classic and famililar powder coating! You can probably store either in a container in the pantry, but keep in mind there is BEEF in there, it may not last long outside of the fridge before going ‘off’. I hope you enjoy whichever version you make! Let me know how you go and what you think! Oh and before I go, my message is never “you should eat strict Paleo all the time” because I certainly don’t! I believe we each need to find a happy balance with what we eat and how we live. So if you feel like having the ‘junk’ version of Turkish Delight.. then do it! Own it and enjoy it. That’s all the wisdom I have for you for today..! Last night I was in the mood for making some recipe ideas for my green banana flour ebook, but unfortunately I’d run out of eggs and since all the recipes I wanted to attempt needed eggs… I was kind of bummed (cue sad violin music). I really felt like cooking something, so I decided to throw together a few things and ended up making a really yummy batch of choc orange biccies! And with so few ingredients… that’s a huge win in my books!! 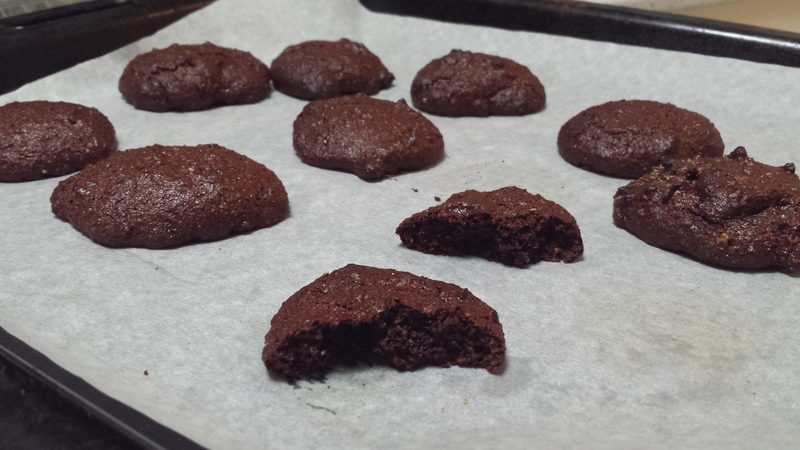 I really felt like cooking something, so I decided to throw together a few things and ended up making a really yummy batch of choc orange biccies! And with so few ingredients… that’s a huge win in my books!! I didn’t use eggs, I didn’t use nuts, and what I did use was really basic stuff, so it’s a no-brainer I share this new recipe with you all! Add all ingredients (apart from cacao nibs) to the blender or food processor and blitz until well combined and there are no lumps left. I used my blender because I had pieces of dehydrated orange skin I wanted to break down and I wanted the desiccated coconut and chia meal to break down as much as possible. You could just add all ingredients to a bowl to mix together with a spoon, if not using dried out orange skin pieces, the result may not be the same but it’s up to you. The blender took very little time and did a good job, so I suggest using one for this. They really don’t take long to cook and actually cool down quickly because they’re not dense at all. They’ll be ready to munch on in no time! These are great for school lunchboxes and after-school play dates because there’s no nuts present. Yet they’re so soft and moist.. wow! Keep in mind though that some people with digestion issues can find arrowroot and chia meal heavy on the gut, but what I like about this recipe is it uses so little of each of those ingredients and they go such a long way that if you or your little one only has a couple of these they’re pretty filling because of the good fats, and there’s little chance of then being left bloated. But always listen to your body, the same ingredients for one person (paleo or not) don’t necessarily work well for the next. Creating these yummy biccies last night! It’s Summer, yay! And that, of course, means many hot days ahead, calling for cold food and drinks to cool us down. So I have the perfect recipe for just that! And it’s a little decadent but super healthy at the same time… My Dreamy Creamy Triple Choc Chip Ice Blocks! Sound good? Look good? Want to make them? Then here’s the recipe so you can do just that! Using the double boiler method melt the ingredients so there are no lumps of cacao butter remaining. The water can be simmering but doesn’t need to be at too high a temperature. 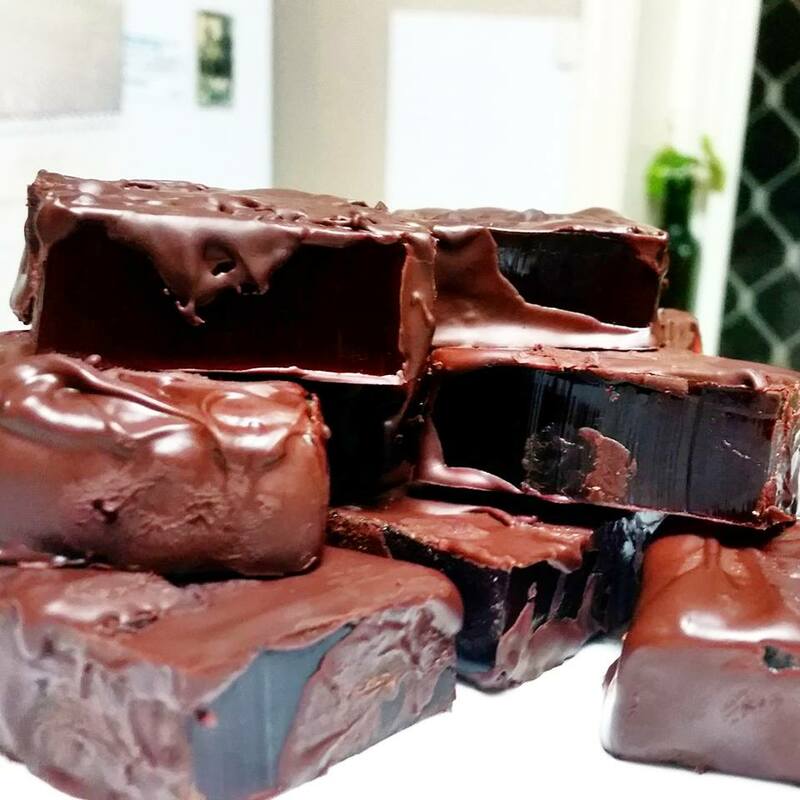 When the ice blocks have completely set remove them from their moulds and lie them down on the cold plate from the freezer (to prevent the ice blocks melting quickly) then grab the choc drizzle bag and pipe over the ice blocks however you like. Across-ways back and forth is easy and looks great. Sprinkle some cacao nibs over for garnish. The chocolate will set pretty quickly then you can serve the ice blocks! 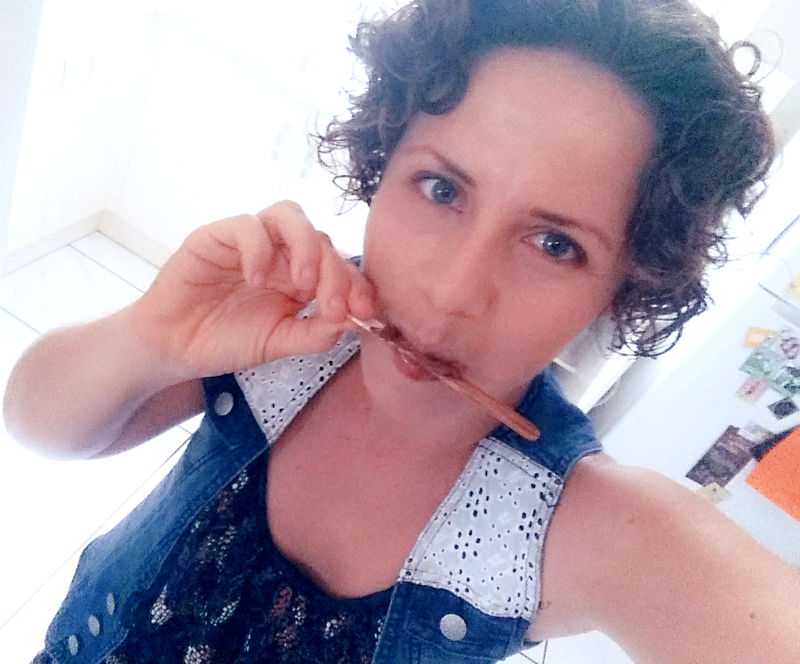 To learn more paleo-friendly healthy, yummy, easy, affordable recipes feel free to contact me to organise a Private Paleo Cooking Workshop, or stay tuned on Primal E-News for upcoming cooking demo’s! Yummy healthy Ice blocks on a hot Summer day! 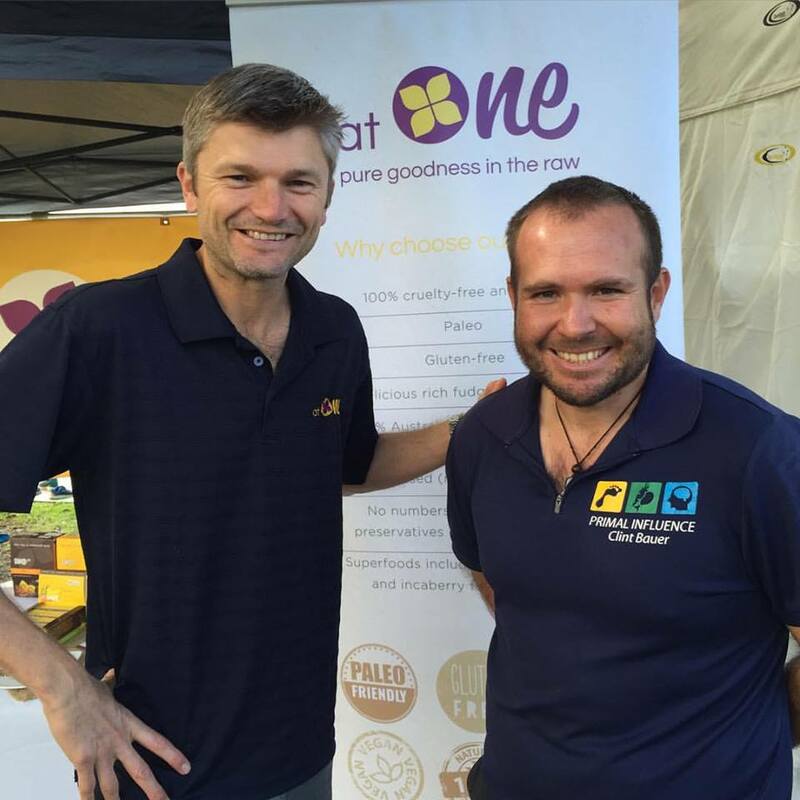 We’re big fans of really nice local people making really great products, and the family behind the At One biz certainly are that! Husband and wife team Andrew and Tara are the creators of Noosa-based company At One, making nutritious and tasty raw food bars that are actually unique and unlike any other health bars on the market. 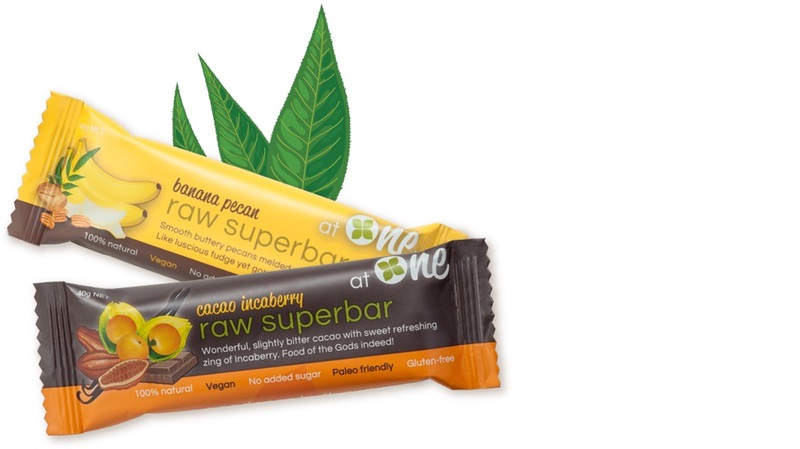 Cos let’s face it, there’s an abundance of ‘healthy’ food bars on the market now right? Supermarkets and health food stores – even some service stations – are stacking their shelves with these, trying to appeal to the health and allergy-conscious consumers. So what sets these products apart from the others? 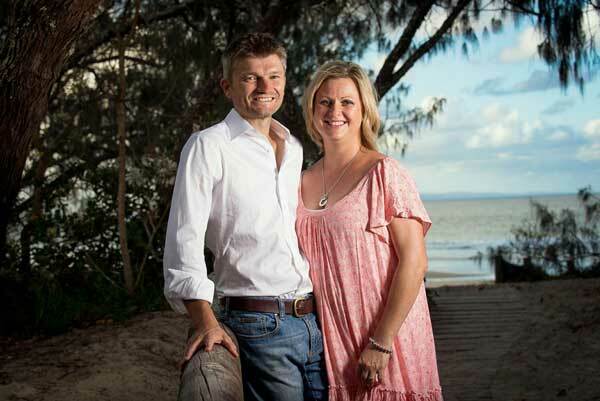 We chat to Andrew and Tara to find out! US: Andrew and Tara, you create a variety of raw, vegan, paleo-friendly bars, what was the inspiration behind this kind of product line in particular? 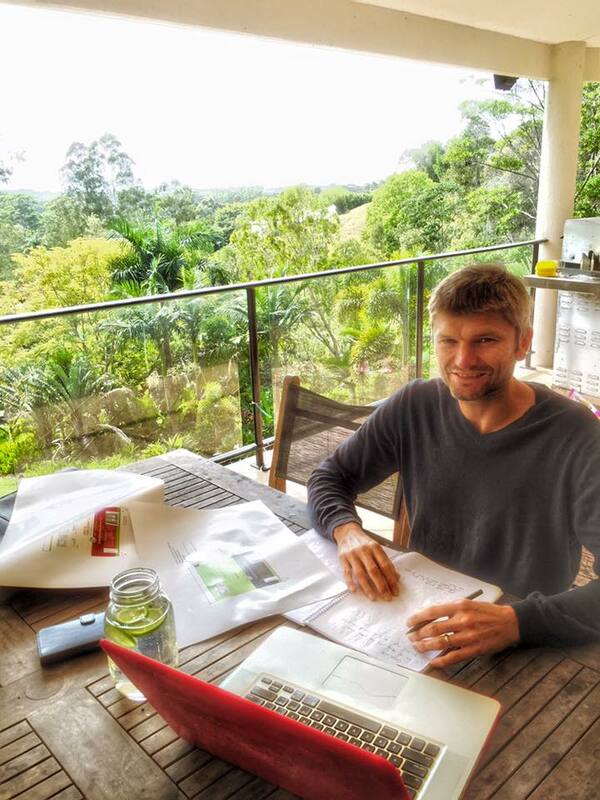 A&T: Our range of At One bars were born while Andrew was running a 250km ultra-marathon across the Sahara Desert. It was then that Andrew discovered the shocking reality of the ingredients and additives used in regular nutrition bars. We envision a world where people are empowered to be their best through healthy lifestyle choices. We felt that the range of snack products available to the general public at that point was certainly not working towards our vision, so we committed to creating something better. 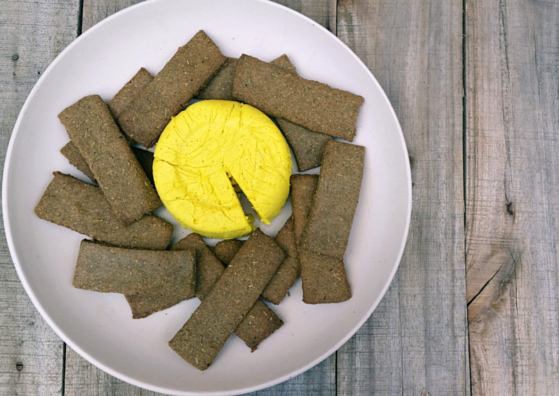 We’re both fanatical about food and Tara’s love playing around with raw food and Paleo recipes. 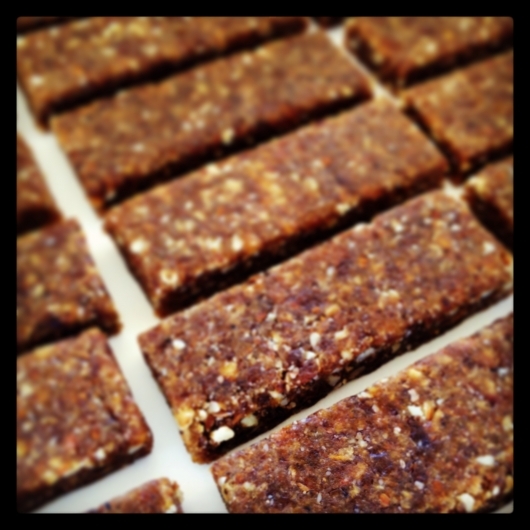 So we set about developing our completely natural range of snack bars with simple, clean and good for you ingredients. We’re proud of the fact that our bars are incredibly good for you, but just as important to us, is that they taste amazing! So now you can have that decadent treat, without the added guilt! US: The bars we’ve tried are all jam-packed full of flavour, you must use awesome ingredients, where abouts do you source them from and is quality super important to you guys? A&T: Flavour is number 1! We’re very particular about nutrition, and all our bars are paleo, vegan and gluten-free, but at the end of the day, if it doesn’t taste good, people won’t eat it. And we want everybody to understand that good food can taste great, it doesn’t have to be packed with sugar and added flavours! As all our ingredients are raw and free from preservatives and because we don’t use any additives, the quality of our ingredients is paramount. We source them from Australia where we can, but many of our ingredients are best grown overseas, such as our raw cacao from Peru. This can cause supply issues at times, for example we’ve had to delay production in the past due to a global shortage of sulphur-free organic apricots. Cacao Incaberry & Banana Pecan – YUM! US: You’re in the process of making 2 new bars, can you tell us a bit about them and when they’ll be ready? A&T: Yes we’ve been testing new flavours and we’re working towards a launch in November of our new cacao mint bar and coconut goji bar. We love our two existing flavours (cacao incaberry and banana pecan), and we think the two new ones will make for a great range. We’ve already had loads of incredible feedback from the public about the new flavours, its blown us away! We’ve tweaked the recipes a little for the new flavours by decreasing the fruit content and increasing the nut content. This has resulted in a slight decrease in carbs and an increase in fats in the two new flavours, which we know is something that more and more people are looking for. Don’t get us wrong, our bars are not zero carb bars, its virtually impossible to achieve that in a bar without using highly refined and artificial ingredients. But we can guarantee that everything in our bars is minimally processed and completely natural. US: You make such healthy snack bars for people to enjoy and benefit from, what ways do you both like to stay healthy in your own lives? A&T: We love food and are always trying new things, but the key is always about good, quality, fresh ingredients. We grow a lot of them ourselves in our own veggie patch! Andrew is a keen ultra-marathon runner and loves nothing more than to go running around the national park trails near home. He’s also just getting into mountain biking. Tara is into more gentle pursuits, walking the dog, riding with the kids. We’re both learning more about meditation at the moment and are giving pilates a go as well! We’re continuing to develop our understanding of what overall health and well-being means. Life is a constant journey of learning! US: At One seems to be going gangbusters, what are your goals for the biz moving forward and what advice would you have to others wanting to start a health food business themselves? A&T: We’re working very hard on growing our business, we want to touch as many people as we can with our healthy snack products. Our vision is to empower people to be their best through healthy lifestyle choices, so we’ve got a lot of work ahead of us 🙂 We’re encouraged by the growing awareness of healthy food in society, but we’re only just scratching the surface. For others wanting to start a health food business, or any business at all for that matter, question yourself as to how passionate you are about what you’re doing. When the going gets tough, which it will, a passion for what you do is what will keep you pushing. In terms of food, farmers markets have given artisans a market for their products, which is fantastic and is part of the reason why we’re seeing lots of innovation at the moment. If you’re starting out in this situation, you just need to be realistic about what you want to achieve. We started this way, but we did it with a plan to use this as a way to launch our brand and to test the market for the types of products that people are seeking. Its now been almost a year since our last market, a lot of water has passed under the bridge, but it was a great way to start. US: Thank you so much for taking the time to chat with us guys! Your story is so interesting and your passion for providing healthy, easy and affordable food for people is wonderful. We’re so excited to see what you do in the future! If you’d like to get your hands on some of these scrumptious bars, or you want to find out more about the makers and their products, visit their website here. We’re thrilled to announce we’ll have some of their bars in the Paleo Food Prize Pack at Aimee’s next cooking demo event ‘Paleo for Busy People‘ on Saturday 7 November – so one lucky guest will be taking all these goodies home with them that day! Yay! Eat well + play well! Clint is really loving my Fudgy Choc Brownies at the moment and one day while making them, recipe testing for my upcoming e-book, I decided to have another crack at making some custard to go with them. My last attempt was a lumpy scrambled egg disaster so I kinda hadn’t been keen to try again since! But, I had a go, added plenty of vanilla and honey to give it a really nice flavour, and it turned out perfectly!Oh and I was a little gentler and more patient, that kinda helped! I’ve tried it again a couple of times since, so I know it works and I’m excited to share my recipe with you guys! TIP: IF you did happen to get some lumps/curdling happening on the bottom of the saucepan simply use a strainer to remove the lumps, easy fixed! 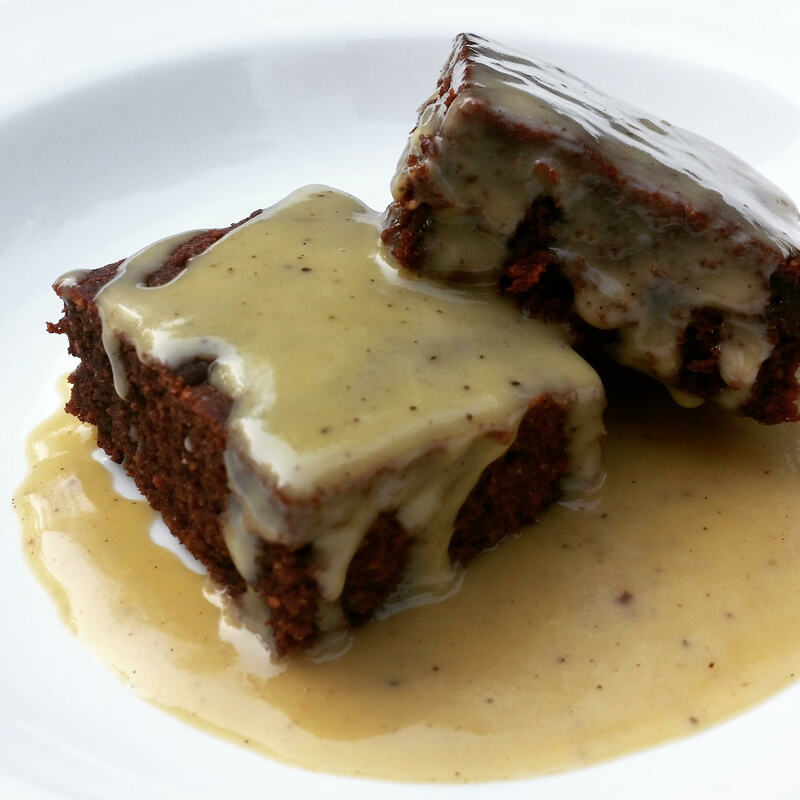 Serve over fudgy choc brownies like I did, with some ice cream, or drizzle over a paleo cake or pudding, or just drink it cos it’s so delicious on it’s own!! “Why the egg yolks and not the eggs?” you ask. Well mum and I both don’t often eat whites because we’ve learnt the yolk is the healthiest part and often whites cause people to have egg allergies. So as often as I can I try to make foods without whites so mum and I can both enjoy them, and when I tried custard both ways I actually preferred yolk-only anyway as it seemed to create a better consistency. You can use the whole egg if you wish, but you’d only need to use 1 for this recipe.